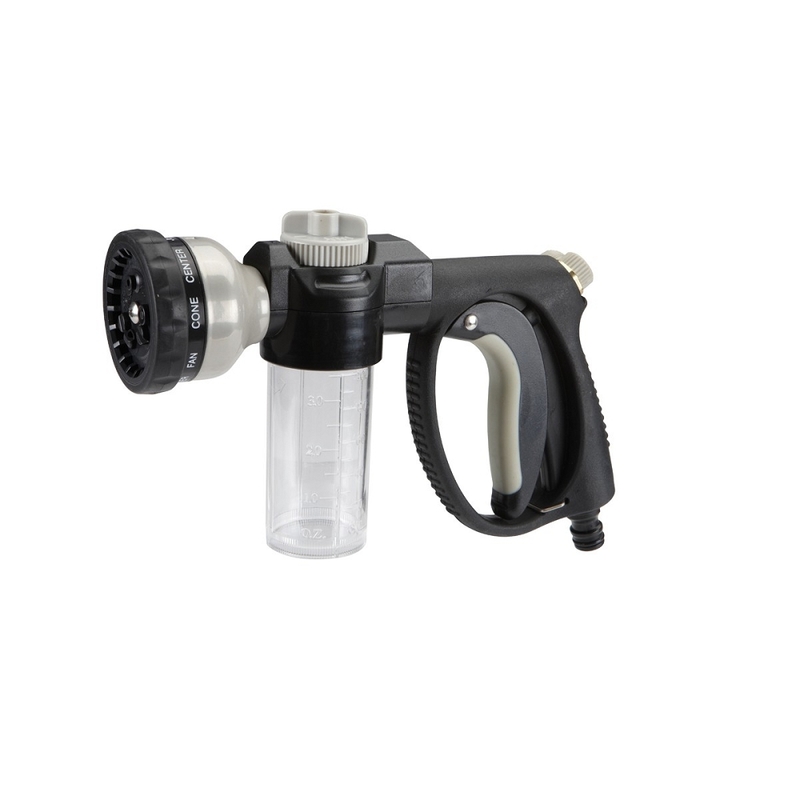 If you'd like to make washing your car an easier task, this Car Wash Auto Soap Mixing Nozzle is a great investment. It is made of a durable aluminum construction with an insulated grip to keep your hands from getting too cold or hot from the water temperatures. 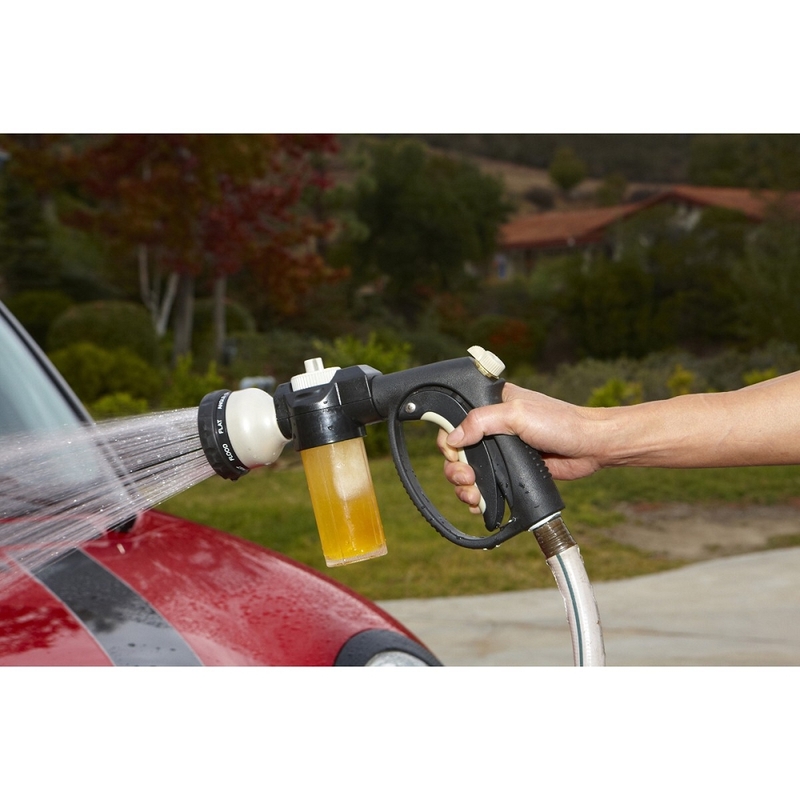 This car wash nozzle has a built-in soap dispenser to give an even spray application of soap to your car to give ultimate coverage and provide you with a thorough wash to get all the dirt and debris. This is the perfect buy for anyone looking to get rid of their old bucket and sponge and update to a washer nozzle that is convenient for you when time comes to wash your car. Q: can I order the glass soap container if it breaks?